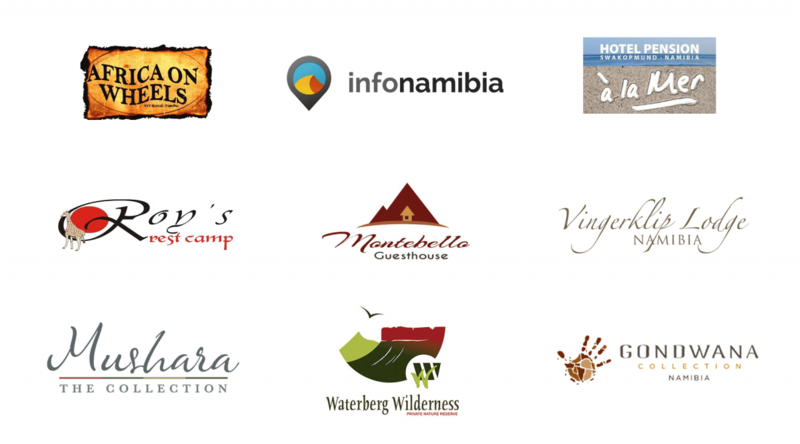 As marketing and consulting organisation the Living Culture Foundation Namibia is also responsable for the proper signposting of the six museums it is supporting in Namibia. The relentless heat of the sun especially up north fades and burns away the colours of the signboard to the extend that we have to replace them every 2 – 3 years. The Living Museum of the Mafwe has moved. 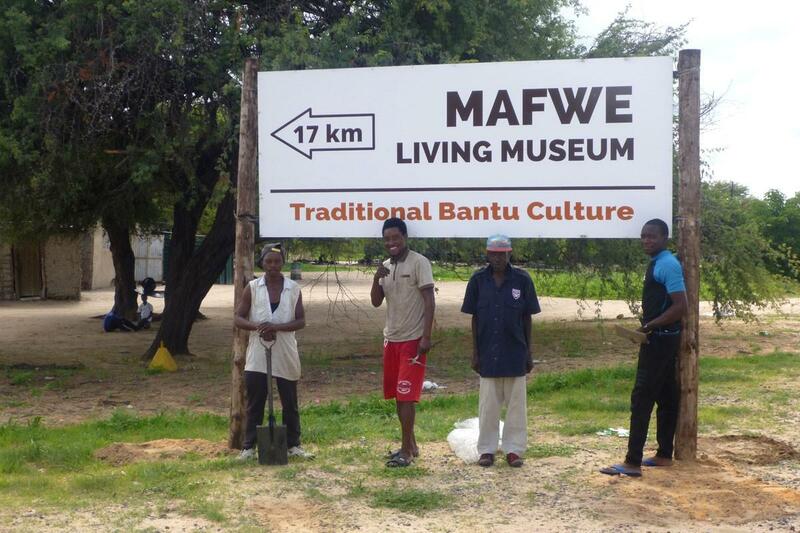 In mid-February 2019, we were able to carry out the long-awaited relocation of the Living Museum of the Mafwe. 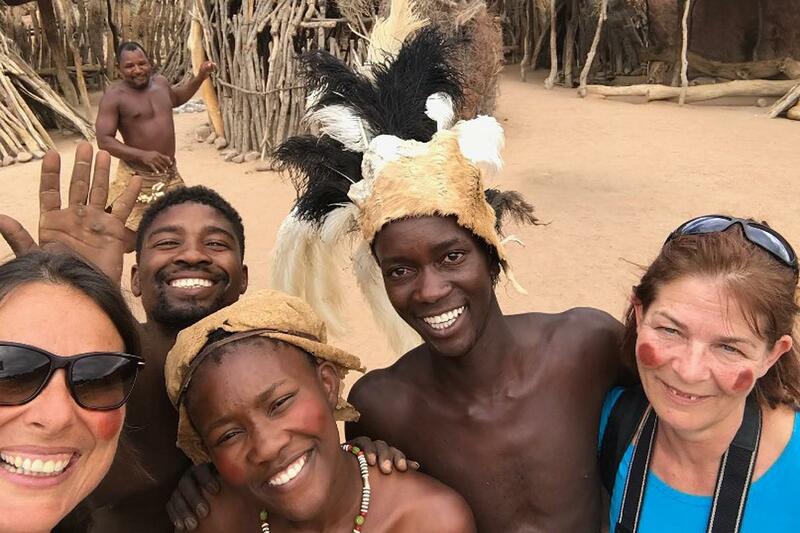 The tourism in Namibia is at a peak in 2017 and 2018 and the Living Museums are visited by quite a number of people in the last two years. Here are our statistics for the last year 2017. Werner will be at the Living Hunter's Museum and the Ju/'Hoansi-San Museum this week to help with the installation of new signboards and campsite add ons. Of course there will be some community meetings as well. 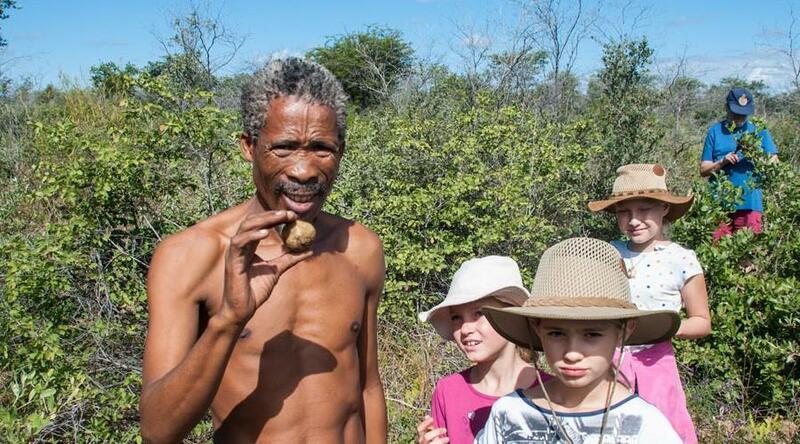 End of the week Werner will also meet with a young group of Damara from the Spitzkoppe who might be interested in establishing a Living Museum. We will keep you updated. 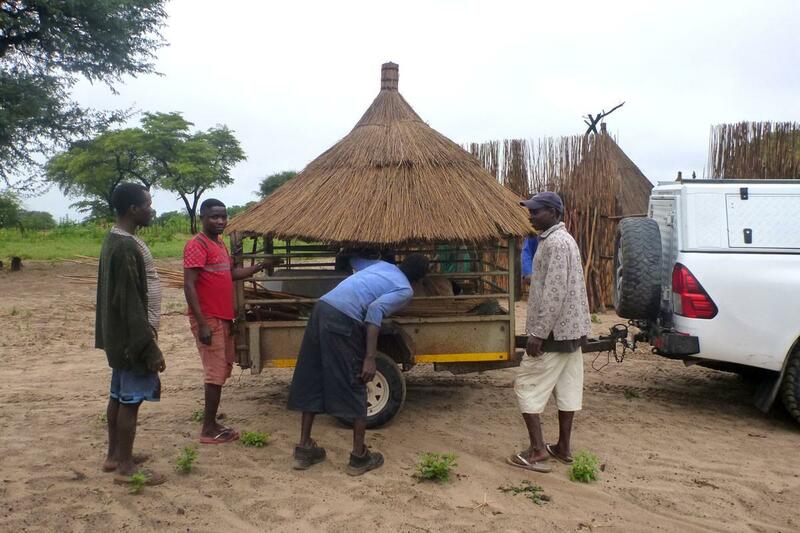 The Living Culture Foundation gives thanks: Last year we had a brilliant fund-raiser by organising a raffle with a 14-day Namibia journey as main prize. 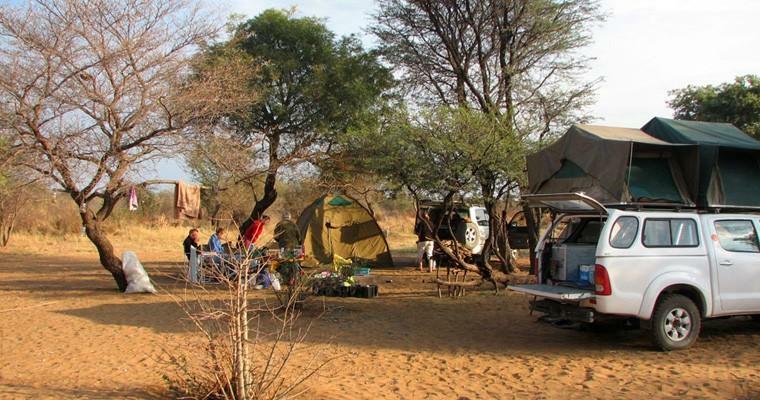 The lucky winner of the tour, Ulrike Laupichler enjoyed the 14-day tour through Namibia from 22.01. – 03.02.2018 with her friend Sascha Müller. On the 28.07.2017 we were celebrating the 10th anniversary of the founding of the Living Culture Namibia e.V. 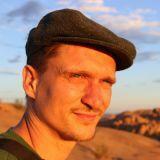 For the tenth time we have reason to celebrate and to look back on (more than) 10 years of project work in Namibia. 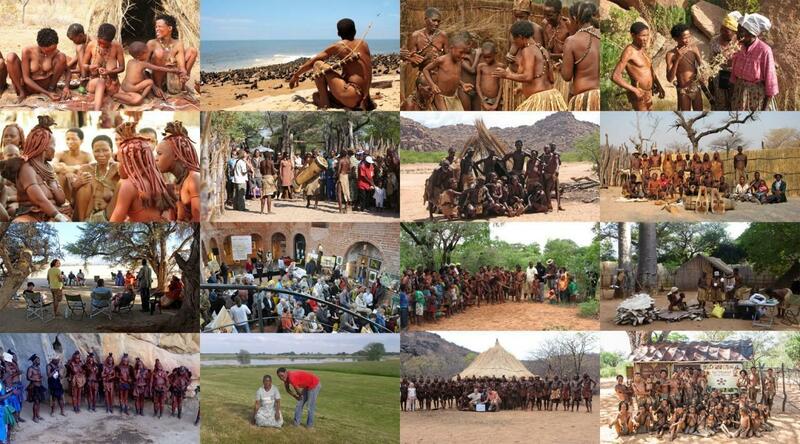 Here we have put together a review of the events of the Living Museums and the Living Culture Foundation Namibia of the past 13 years. Brian Heyden, a tour operator from New Zealand who visits the Living Hunter’s Museum at /Xa//Oba annually, brought a special surprise for the villagers this year. 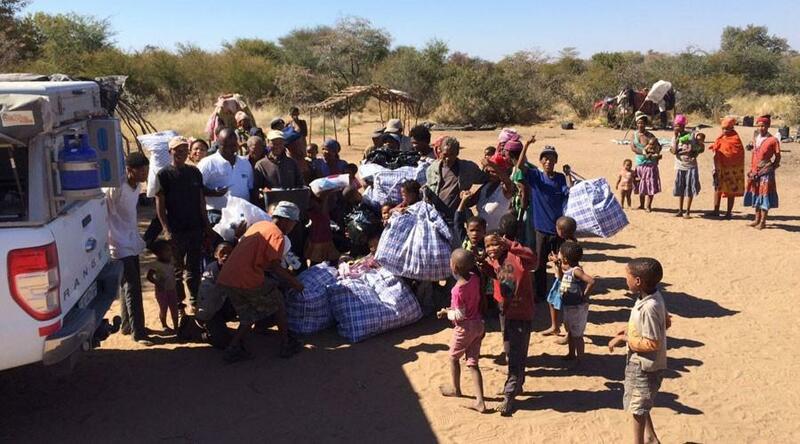 He donated several bags of warm clothes, shoes and blankets to the Living Museum, ideal for the harsh winters of the northern Kalahari. 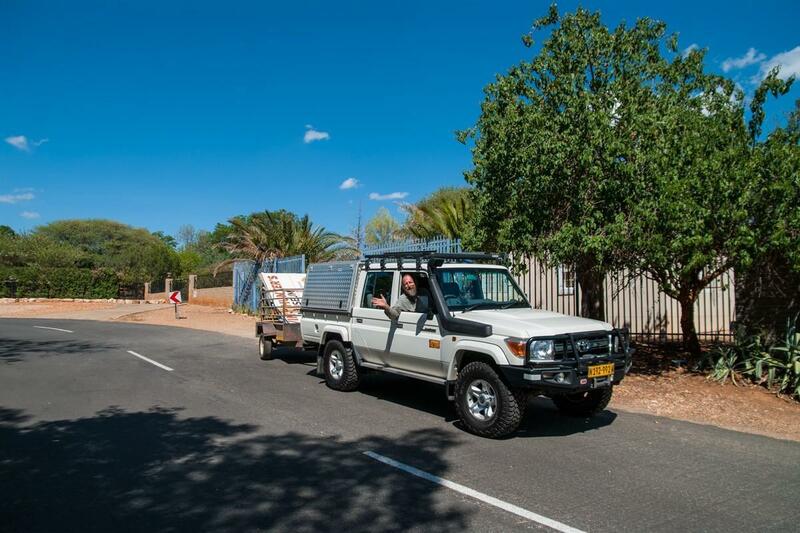 The New Zealand guests that went on a 3-week Namibia safari with Brian at the end of June bought all their camping equipment in Windhoek due to logistical reasons. After their visit at the Hunter’s Living Museum which the New Zealanders more than enjoyed, they decided to donate the complete equipment to the Bushmen after their tour. Around midday we left the Living Museum towards the west to participate on a bushwalk together with the bushmen of the Living Hunter’s Museum. Although having been already several times on such a bushwalk with the San, every single time it is a wonderful, relaxing and exciting activity during which one is taken back to old times and one can imagine how the old bush life must have felt like. Thoughts start to wander. The stress and the everyday life seem far away and one starts to concentrate only on the essential things: But be aware of your steps, snakes, scorpions and other small animals are dangerous to step on. Now and then one of the San women discovered something special, e.g. Dchun (Walleria Nutans), which taste like old potatoes (that’s why they are called bush potatoes), the succulent root named “!ai!ai” (Raphionacme Velutina), which is essential for the old San’s survival or a sisal plant, known as “Oryx horn” or “Mother-in-law tongue”, which is used to make strings and ropes. 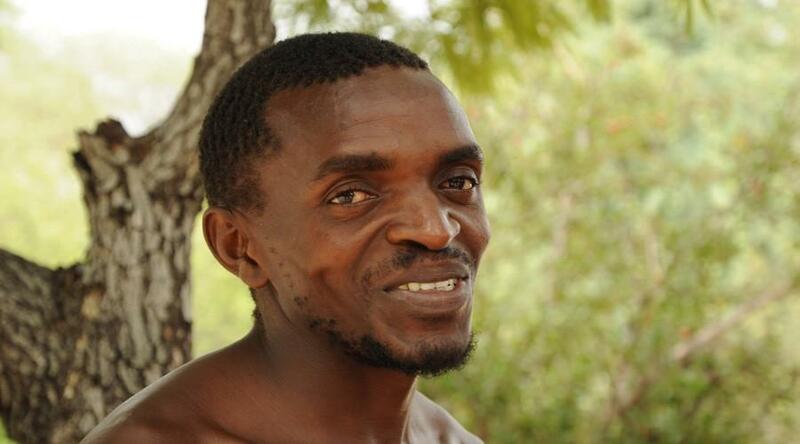 The almost meditative bushwalk had been constantly accompanied by lively conversations amongst the San. Often we stopped to analyze tracks of wild animals; we dug, picked and plucked. Suddenly a loud yelling and cheering, at first we thought a wild animal has jumped out of a bush. 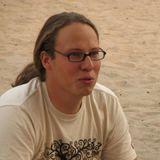 But no – one of the elder ladies jumped under a bush and started digging and revealed a small brown tuber. At the end of February 2017 I had again the possibility, together with friends from Germany, to visit the Living museum of the Mbunza very close to Rundu. Since the opening in 2012 it is my third time already. Immediately I recognized how structured and organized the visits of tourists are handled, how much effort Sebron and the colleagues of the museum put into imparting knowledge and to really show the very specifics of the ethnicity of the Mbunza on the Okavango river. 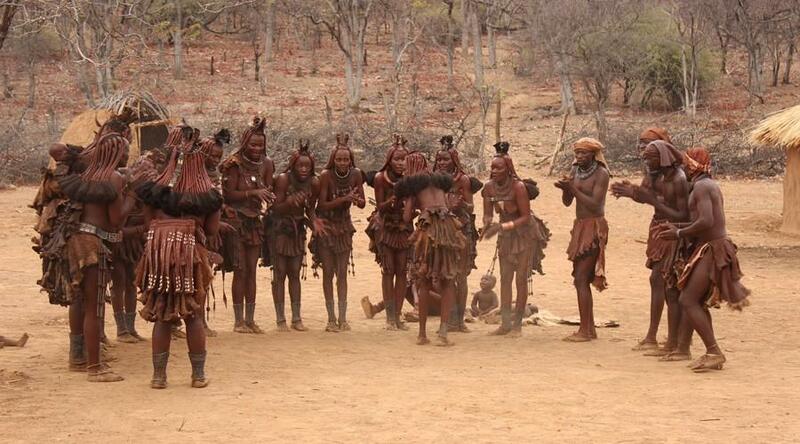 On the 5th of November the Living Culture Foundation Namibia (LCFN) opened the 6th Living Museum in Namibia: The Ovahimba Living Museum. 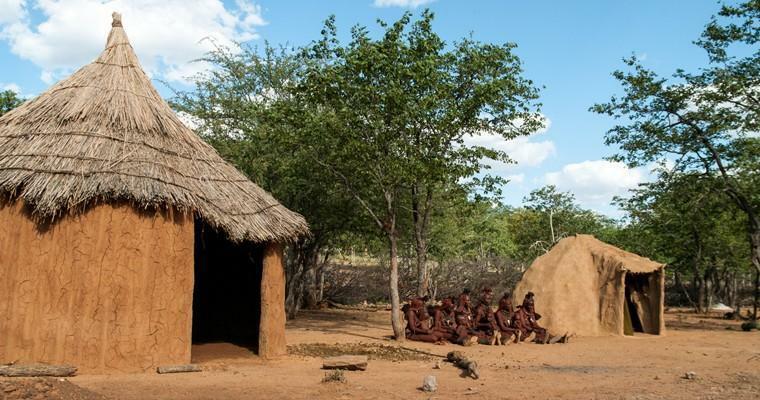 Together with the San, the Mafwe, the Mbunza and the Damara, the Ovahimba are now the 5th language group to own a Living Museum and to invite visitors to get to know their culture. What started with an idea and an initiative of John Tjipurua - now the manager of the Living Museum - and the Living Culture Foundation, could turn into a productive success story which developed within 1.5 years. The opening of the Museum was a huge success for us! It is with great pleasure that we announce the official opening of yet another Living Museum. Over the last year we have travelled to Omungunda – 40 km north of Opuwo – on a regular basis to hold meetings, motivate and guide. 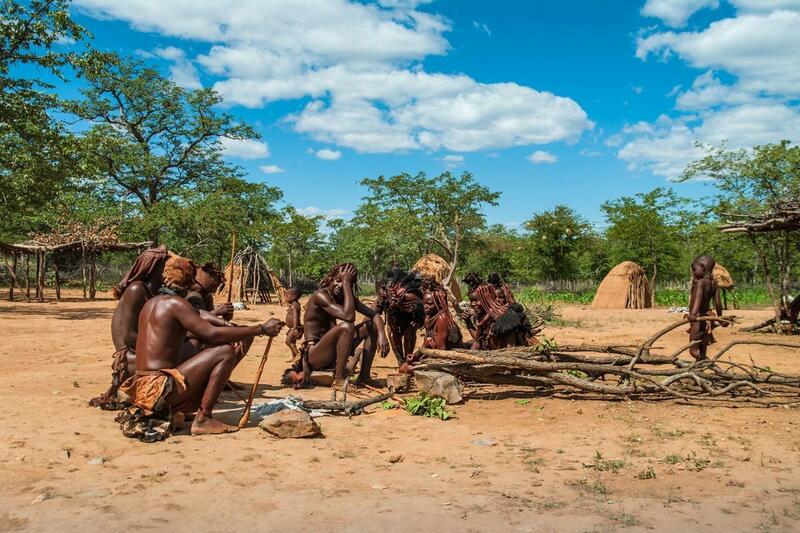 The efforts have not been fruitless and we are proud to invite you to the opening of the sixth Living Museum in Namibia: The Ovahimba Living Museum. The Museum will officially open its “doors” to guests on the 05th November 2016 and we would like to give you the opportunity to come and celebrate this day with us. A demonstration of the program will be held in the morning whilst the opening ceremony will take place in the afternoon. 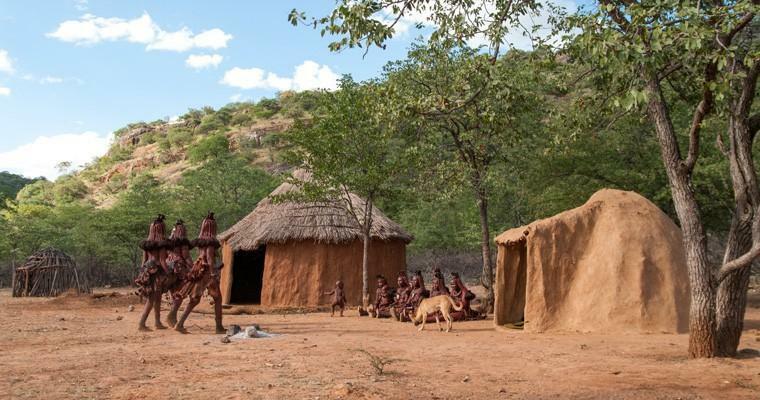 The aim of a second project meeting in March 2016 at the newly emerging Living Museums was to get an impression of progress of this project so far and to further motivate the Ovahimba project group to tackle challenges and to continue establishing their Living Museum. 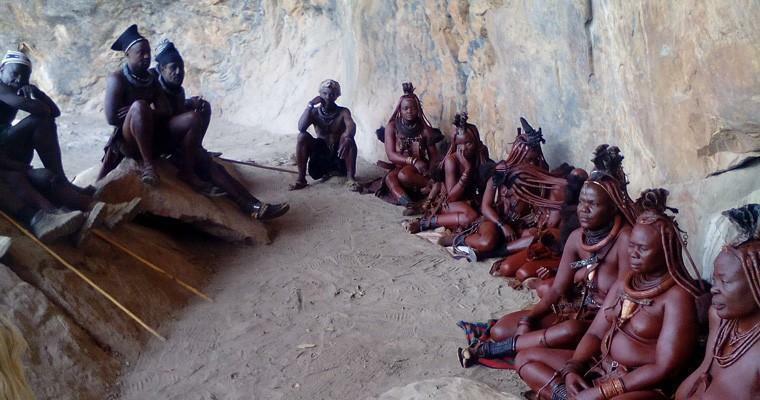 On our project tour at the beginning of September, the LCFN was able to present the concept of the Living Museums to a group of Ovahimba in the north of the country. This marks the first step towards the establishment of a Living Museum. 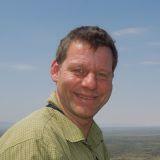 The museums supported by us owe their existence to the income they make from tourism in Namibia. 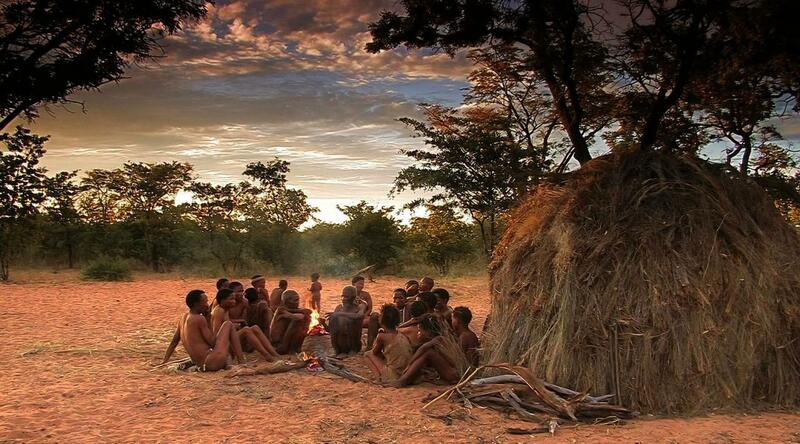 A lot of visitors to Namibia enjoy visiting the museums for an extended time and decide to camp directly at the Living Museums. This of course increases the income for museums that have a campsite. Not only does the campsite itself generate income, but guests are taking part in numerous programs offered as they have more time at hand. Those who have camped at one of the Living Museums of the San know what an up-close and personal experience it is and how much this contributes to an eventful visit at the museums. Are you interested in our work and do you want to learn how to support us and the Living Museums?